We have added new powerful tools to NetAnalysis® for the analysis and breakdown of URLs. 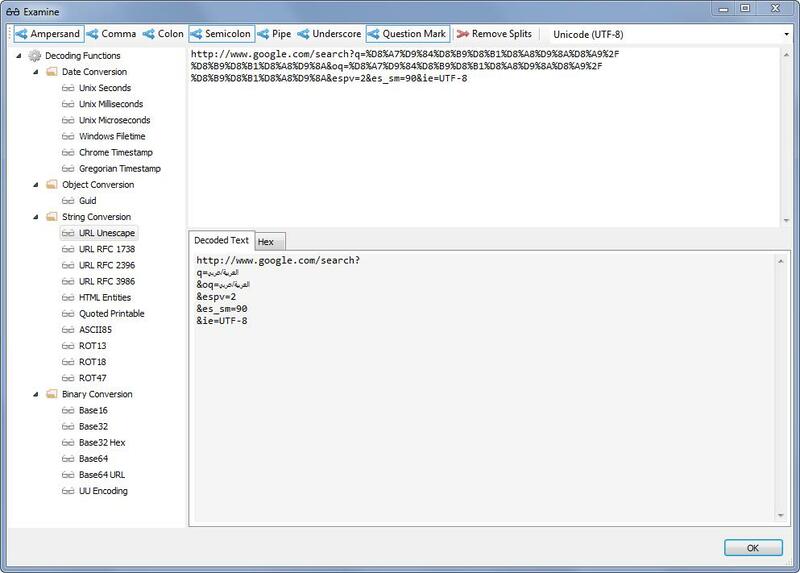 These include the URL examination and analysis window as well as a Decoded URL column. NetAnalysis® v2 also has search keyword extraction; any keywords or phrases entered into a search engine are automatically extracted, decoded and displayed. The above panels and grid show the automatic decoding of encoded Arabic characters, as well as the extraction of the search terms. 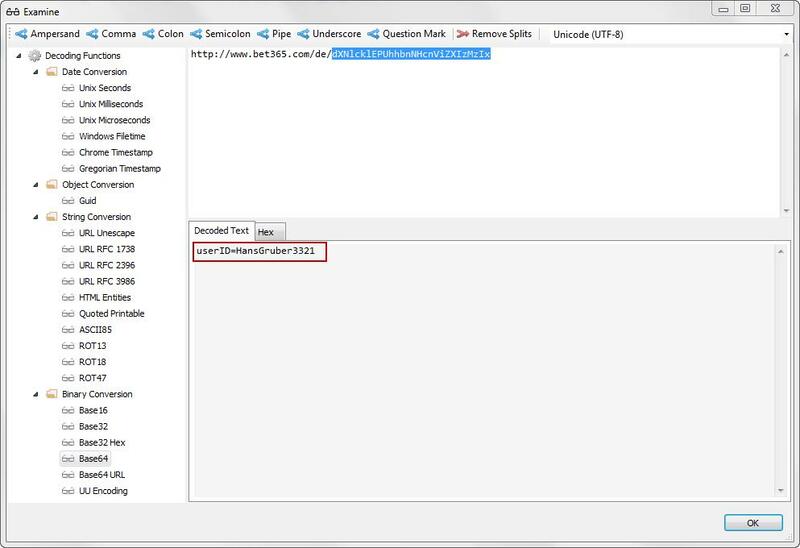 NetAnalysis® v2 fully supports Unicode/UTF-8 encoding as well as user selected code pages. The examination window offers the user a number of options for splitting, decoding and analysing URL records and cookie values. From the window above, we can see there are a number of conversion options for decoding selected text such as ROT13, Base64, ASCII85 and HTML Entities. There are also a number of date/time conversion functions and a Guid converter.